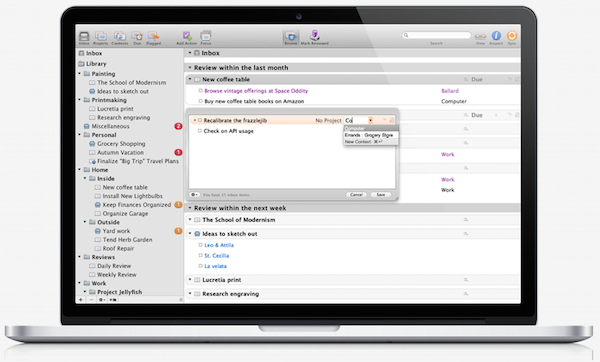 Capturing tasks and ideas is always a keyboard shortcut away in OmniFocus 2. 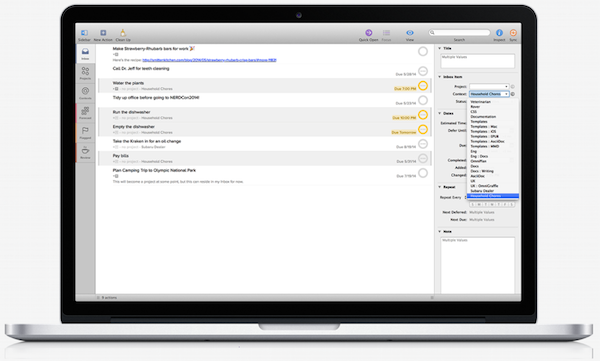 Clip data from Mail, Safari, Messages, or third-party apps. Bring up Quick Entry to file away an idea before it drifts away—it’s always at your fingertips, waiting for more. In OmniFocus 2 it’s even easier to turn actions into projects, re-evaluate priorities with flags or due dates, and make sure you can still deliver Acme Project X on time. Create projects for the bigger goals, add due dates, repeating actions, and contexts, and work towards an emptier Inbox. 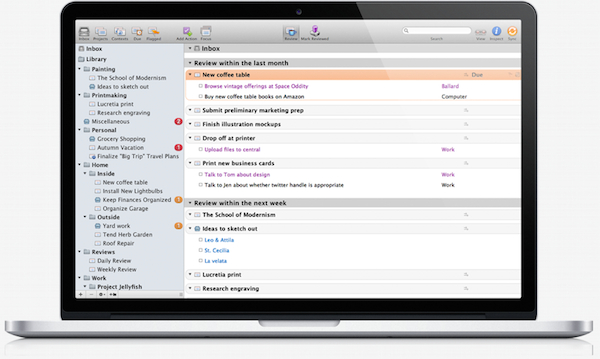 A quick review is easy in OmniFocus 2. Before your day, at the end of your workweek, or whenever the mood strikes, settle in for a review at your own pace to get a grip on your projects’ demands. Tap the Review perspective and work your way through each project—simple and productive. You won’t miss any important actions when the time comes to get stuff done. Helpful highlights trim the sidebar so you always know what needs attention. Special perspectives like Forecast are thoughtfully designed to give you the most timely information first. 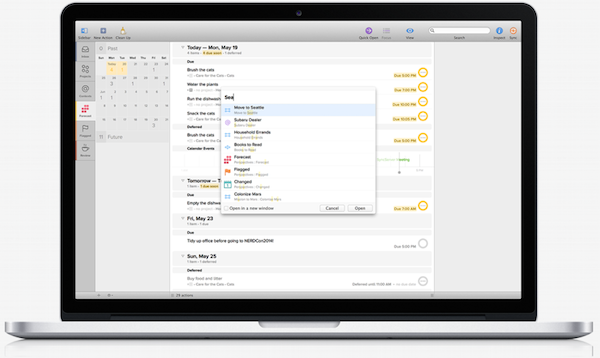 Excellent sync across OmniFocus for Mac, iPad, and iPhone — especially with our free Omni Sync Server. And with Background App Refresh in OmniFocus 2 for iPhone, new actions arrive automatically.